John Carpenter's legendary horror movie Halloween turns 40 this year and to celebrate the occasion, Mondo has released a special anniversary edition of the soundtrack on vinyl. This is easily one of the most iconic scores in the history of horror movies and, aside from the fact that it surely sounds excellent on vinyl, this 40th anniversary release looks stunning. This would make a fine addition to any horror fan's collection. This 40th anniversary release of the original Halloween music, which was composed and performed by John Carpenter himself, brings the original score as it was mixed within the movie. The audio is taken from the "music stem" derived from the 35mm mono tracks that comprised the dialogue, sound effects and music of the original movie. The first vinyl LP release of the Halloween soundtrack, originally released in 1982, was actually a remix of the original master by Alan Howarth. John Carpenter instructed Howarth to remix the tracks to represent the best sound, not necessarily to match the music as mixed for the movie in 1978. This release is a different situation entirely. According to Mondo, Alan Howarth has carefully transferred the movie music stem, assembled the music in chronological order as presented in the original release. This makes it a much more authentic version of the soundtrack. 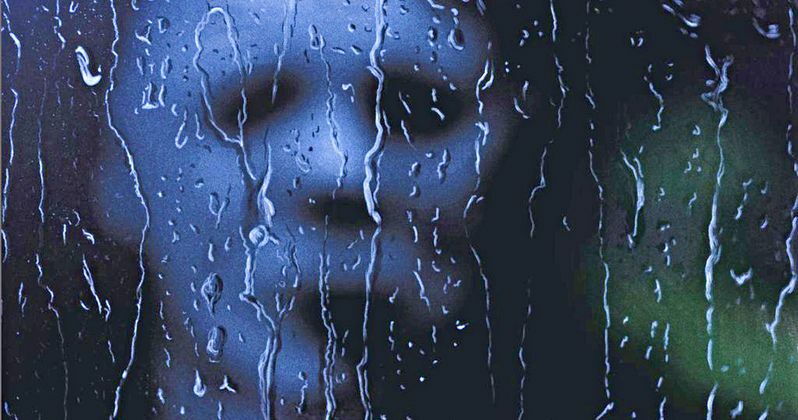 Additionally, the art featured on the packaging is a thing of pure beauty, with Michael Myers visible through a rain covered window. The inside cover is equally gorgeous and spooky, featuring a poorly lit road and a familiar piece of signage. The vinyl itself is clear with an appropriate orange and black splatter. Does that make it sound better? No. But it sure as heck looks great. It's a truly big year for fans of Halloween. Not only is the original celebrating four decades of existence, but the movie being released on 4K for the first time, in addition to making its way back to theaters this month. Not only that, but the highly-anticipated sequel is also arriving in just a couple of weeks, which is the first time Michael Myers has appeared on the big screen in nearly a decade. So far, reviews have praised director David Gordon Green's direct follow-up to the original horror classic, which John Carpenter also returned to compose the score for. As an added bonus, Mondo has also released some new Halloween enamel pins that are available for pre-order, which are expected to ship in November. The pins include a set with Michael Myers with his knife raised and the pumpkin/knife logo. There are also three individual pins by Matt Taylor featuring Laurie Strode, the Shape, and Bob the Ghost. As for the vinyl soundtrack, it's available on the company's website right now and is listed for $32. Those looking to pick up a copy for themselves can head on over to MondoTees.com. You can check out photos of the 40th anniversary soundtrack release for yourself below.